Ships today if you order in the next 5 hours 19 minutes. 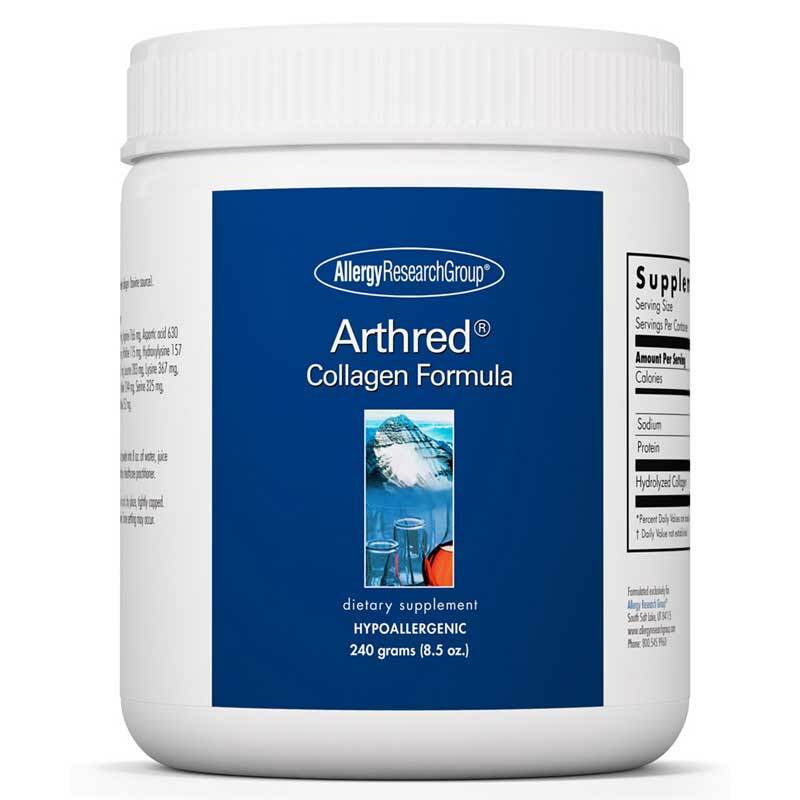 Allergy Research Group Arthred Collagen Formula is designed to support joint function*. 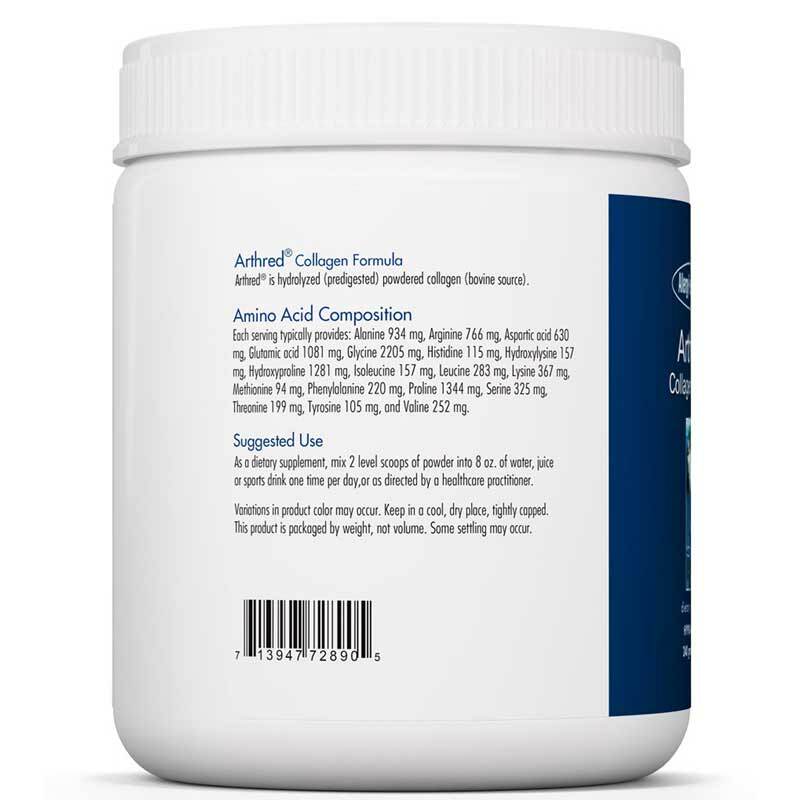 Arthreds hydrolyzed powdered formula is predigested for better absorption, using collagen from bovine sources to support the production of healthy joint tissue and connective tissue. Arthred is of the highest quality and purity obtainable, and free of all common allergens (antigens). 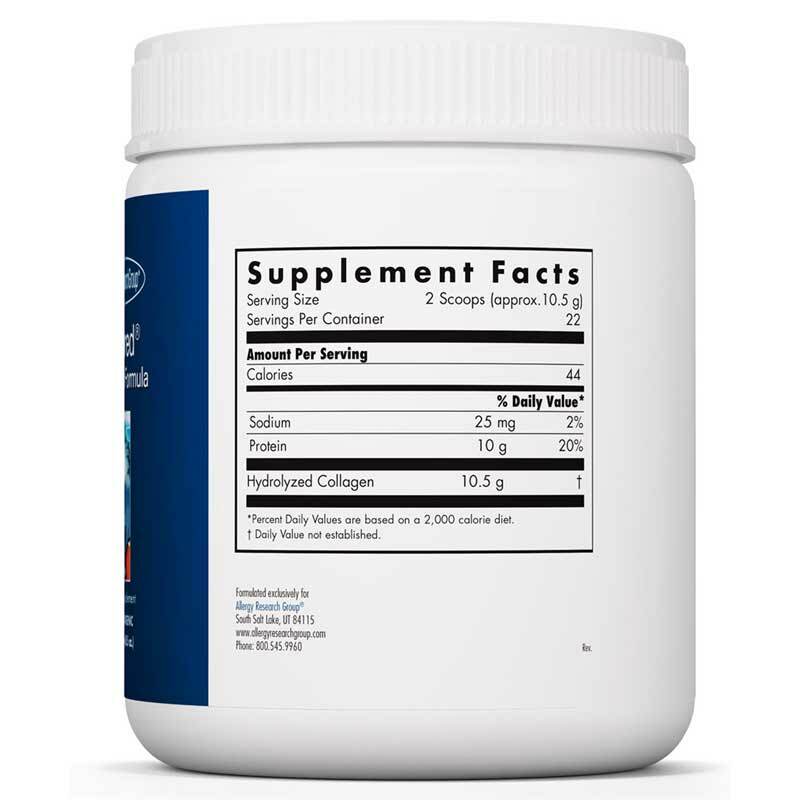 It does not contain preservatives, diluents, or artificial additives. Adults: Mix 2 level scoops of powder into 8 oz. of juice, water or sports drink one time daily, or as directed by your health care professional. I'm about to order it again. This really helps my thumbs and feet. After using Arthred Collagen Formula I felt immediate relief. I am able to get through work without irritation. I have used it for a week with great results. Arthred Collagen Formula was easy to digest. I found this product because a friend was using it. After a month on this product, my knee pain was almost gone, but the company raised the price making it harder for me to continue to buy it. I will have to try some other product.